The solar sensor, which is installed on the upper side of the instrument panel, detects sunlight and controls the air conditioning in AUTO mode. The output voltage from the solar sensor varies according to the amount of sunlight. 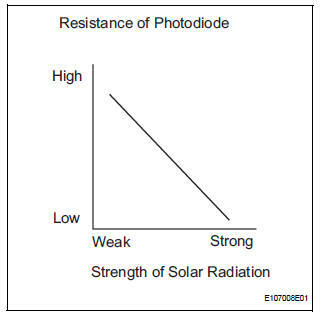 When the sunlight increases, the output voltage increases. As the sunlight decreases, the output voltage decreases. 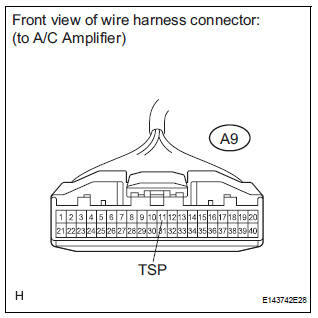 The A/C amplifier detects voltage output from the solar sensor. 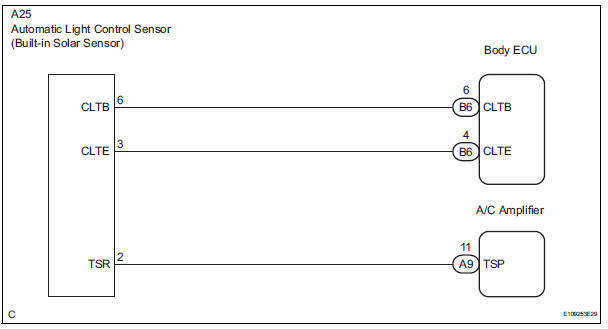 If DTC B1244 is output at the same time, troubleshoot DTC B1244 first (See page LI-16). 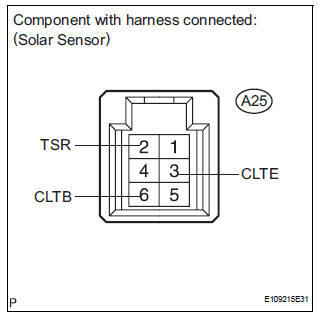 If the check is performed in a dark place, DTC B1421/21 or B1424/24 (solar sensor circuit abnormal) may be output even though the system is normal. (b) Turn the ignition switch to the ON position and turn the intelligent tester main switch on. 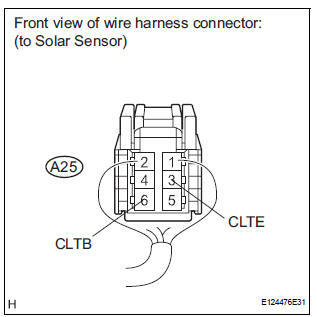 (c) Expose the sensing portion of the solar sensor to light. HINT: Use an incandescent light for inspection. (d) Select the item below in the DATA LIST, and read the display on the intelligent tester. 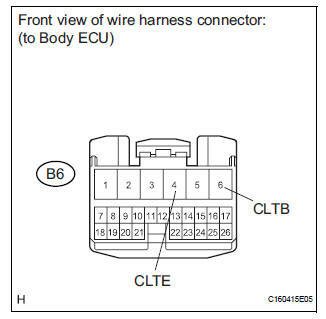 (a) Disconnect the body ECU connector. 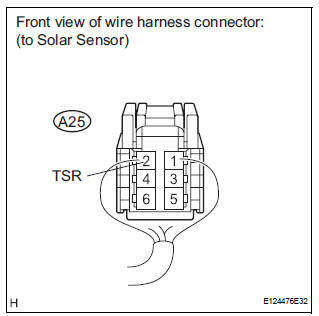 (a) Remove the solar sensor with its connector still connected. 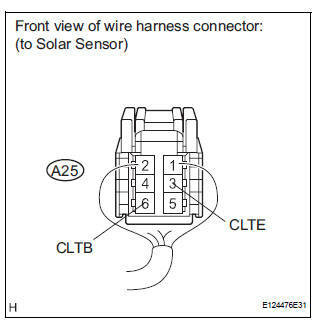 (b) Connect the positive (+) lead from the battery to terminal 6 (CLTB), and the negative (-) lead to terminal 3 (CLTE) of the solar sensor. NOTICE: While using the battery during inspection, do not bring the positive and negative tester probes too close to each other as a short circuit may occur.